Romance sells. This is a proven publishing fact. Though that doesn’t mean you should add romance to your novel just to add it, romance is quite popular in ANY genre, and let’s be real, love is everywhere. The chances of writing a book with no one (not even a side character) falling in love or being in some sort of relationship is pretty slim. Think of your own family and friends. Someone is going through something. Which is why love is so relatable. 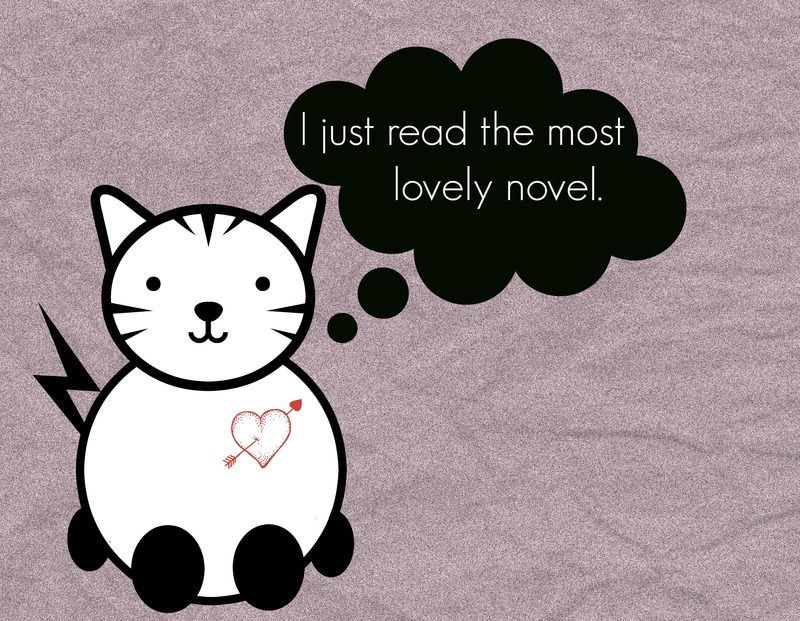 It might also be why we love reading about love. So, how do we write about love? Like any topic, there are a million ways to write about love, but since I know you have a million more articles to read, I’m only giving out two quick tips to keep in mind when developing a relationship for your characters. But first, I want to get one stereotype out of the way, a stereotype we’ve all loved to hate. That’s right. I’m talking about Insta-love. I use the term “love” loosely here, but can we admit that insta-love happens? All. The. Time. In reality, it might be classified as infatuation or lust, but in the moment, a lot of people believe they have fallen in love at first sight or fight kiss, and technically, some people do fall in love right away. We’ve all heard stories of those couples many envy. You know, “She walked into the room, and I just knew!” It does happen, and it happens to people of all ages, but I definitely prefer when an author allows love to shape over time. This generally means love is more character-driven than plot-driven, and there are many ways to approach it. Here is one system to think about. Why should we love them? Sure, he/she is good-looking and funny and smart, but so? Everyone is good looking and funny and smart to someone—and as an author, you’re not necessarily trying to get only one character to love another character. You’re trying to get most of your readers to also love that character, or in the least, believe in that character’s love. This is why we have to start thinking beyond types and start thinking about love in general. What makes love relatable? More love! Think about the love interest’s relationships with all of those around them—their friends, their family, etc.—and I guarantee you’ll make that character relatable. You’ll also figure out why your love interest is a standalone (and interesting) character. If that doesn’t work, try some personality questionnaires to get to know your characters better. Maybe they have a strange hobby or a secret phobia or a new dream that contradicts everything they’ve ever dreamt of before. Questionnaires will help you concentrate on the love interest as a person rather than as a love interest in your story…which is key to creating an interesting character for ANY situation. Not one character should be in a book to simply support another character. Sure, supporting characters support the main character, but much like the villain, supporting characters are still the main characters in their story. Treat them as such. Give them their own desires, interests, fears, and arcs. Love interests are never just love interests. Love interests are just characters who happen to fall in love. Of course, there are many types of love—and the English language is very limiting to the definition of love—so exploring lust, infatuation, obsession, admiration, and love all come with their own complications and expectations. That’s the joy in writing stories though. Get lost in the chaos. Figure out the unknown. Push boundaries. Listen to your gut. But most of all, follow your heart. I hear that’s the key to love, after all. Original—Insta-Love Isn’t Instant—is very different. Enter Clean Teen Publishing’s Summer Fun Giveaway! Win a paperback of November Rain in this Goodreads Giveaway. 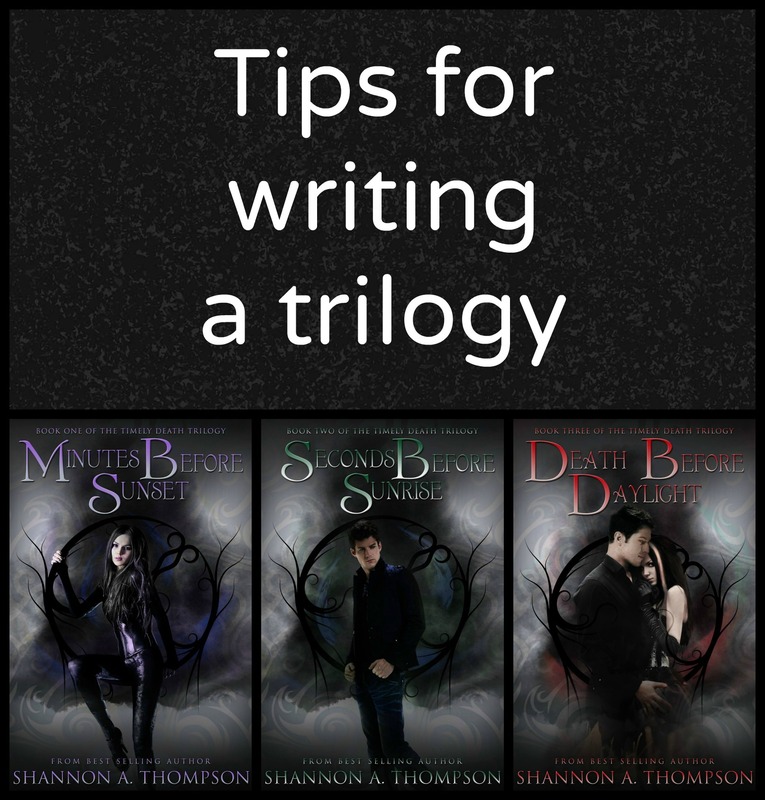 Win signed swag from The Timely Death Trilogy and Bad Bloods by signing up for the Bad Bloods Thunderclap and emailing me your support at shannonathompson@aol.com. #WW My Next Publication: Two Books, Release Dates, and More. If I can be perfectly honest, November Snow is the closest to my heart in regards to my own writings. The original version was written shortly after my mother suddenly died at the age of 44. I was 11. She was always encouraging my love for reading and writing, and when she died, a part of me was lost forever. I’ve kept that part of me (her, really) alive by writing. November Snow was that first step, that single promise, to make the most of my life and to make her proud. That being said, the original publication wasn’t very professional. It was thrown together, unedited, and had very little oversight, other than from a 16-year-old girl with a dream (cough, cough, me). I could’ve used more supervision eight years ago, but alas, that wasn’t how my first publishing experience went. Because of that, November Snow has been off the market for years—almost the entire time since it’s original release—and I’m eternally grateful Clean Teen Publishing is giving me a second chance with my first book, a second chance at making my mom proud, a second chance at beginning again. This truly is a gift. And…of course…for those looking for more information…here’s a short synopsis for the two-part series, and some places with extra information. If you have any questions, let me know, and I’ll do my best to answer them! Seventeen-year-old Serena isn’t human. She is a bad blood, and in the city of Vendona, bad bloods are executed. In the last moments before she faces imminent death, a prison guard aids her escape. Back on the streets determined to destroy her kind, Serena meets a fellow bad blood, a boy named Daniel, and his past with his brothers is as equally mysterious as her connection to them. Unbeknownst to the two, this connection is the key to winning an election for bad bloods’ rights to be seen as human again. But Serena is the only one who can secure Vendona’s vote. When the two unite, their accidental relationship becomes the catalyst for a twelve-year war to continue. Exposing the twisted past of a corrupt city, Daniel, Serena, and every bad blood they know will come together to fight and win, but very few of them will survive to see the day. Bad blood or human, a city will burn, and all will be united by catastrophic secrets and irrevocable tragedy. Bad Bloods on: Facebook, Pinterest, and my Extras page. This is an awesome question about bad bloods from Twitter’s @SiameseMayhem. She asked this when I was still writing it, so that’s why we’re talking about publication. P.S. I wanted to give a shout out to Instagram’s lovely @bookprints for this wonderful post. “I badly wanted a printed copy of Take Me Tomorrow by Shannon A. Thompson since I’ve read it as an ebook and I finally have one (signed!)! Thanks @shannonathompson for making this happen and for the lovely note! There was also a signed ‪#‎bookmark‬ of the first book in The Timely Death Trilogy with it! Please, go check this author out and give her books the love they definitely deserve! #BookRelease Seconds Before Sunrise Evolution Day! Holy Dark! We are here! Book 2 of The Timely Death Trilogy, Seconds Before Sunrise, releases today. (And the last book releases in two weeks!) Before I tell you to check out the sequel here—Okay. Fine. Here’s Amazon and Barnes & Noble—I wanted to tell you a little about my journey up until this point. Back in 2007, when I started my publishing journey, I left the market almost as quickly as I got into it. I was 16, off to college within the year, and a little overwhelmed with everything. That being said, I never stopped writing, so the first cover you see above was one I included on PDF files I sent to my readers that stayed with me, even though I told them I wasn’t returning. To me, I very much pursued publishing because of my mother’s death. I knew I wanted to be a writer, and that moment broke me. It made me get serious. But I ultimately left because it was too much, I wasn’t ready, and I didn’t find myself facing publication again until my college roommate’s death in 2012. I was 21—and so was she—and we had taken a poetry course together. Upon her sudden passing, I was featured in a poetry collection, and the day we read it at an event, I opened the print up to see the group had dedicated it to her memory. I still cannot breathe when I think of the moment, and I think of Kristine often. I think of so many people often, and the amount of loved ones in my life who have affected me—as a person and as a writer—is breathtaking. I dedicated the first novel of The Timely Death Trilogy to both my college roommates at the time, Megan and Kristine, and back then, only three years ago, I was simply going to release it by myself to show how much someone can change your life. I never expected to be contacted by a publisher back in 2012, and I never expected that same publisher would close two years later. I thought my journey was over. But then you all came in—my readers—and you all found me my new home, Clean Teen Publishing, and my journey has continued ever since. I am at home, and I am happy, and for once, that happiness is what steals my breath away. Without you, my journey might have ended. Because of you, it marches on into the Dark. The Dark lives on. I especially want to thank the blogs helping me today (the bold one won a swag pack from me for helping! ): Legends of Windemere, Crazy Beautiful, Endless Reading, Just Amy, Chris Pavesic, Macy Loves Stories, Books for Thought, The Book Forums, Gnome on Pig Productions, Mel’s Shelves, and A Reader’s Review. I hope you’re having as much fun as I’m having. Either way, I’m grateful. If you haven’t checked out the first novel, Minutes Before Sunset, don’t worry! I have you covered: Amazon, Barnes & Noble, Goodreads. And, remember, you don’t have to wait a year for the last book! It releases in TWO weeks. Two weeks. (Double Holy Dark!) I cannot fathom it. Eek! June is coming to a sunny end, and July is approaching as fast as a bottle rocket. (Fourth of July references are fun.) We are SO close to the release of Minutes Before Sunset. In fact, we’re officially less than a month away. (Eek again!) I’m undeniably excited, and I cannot thank you all enough for the continued cheers of encouragement as we inch closer to the release date—where you can win even MORE prizes and goodies. But I’ll talk more about that in this month’s Ketchup post. For those of you just now checking in this month, Ketchup actually means “catch up”. At the end of every month, I write these posts describing what goes on behind the scenes at ShannonAThompson.com. Some of the topics I cover include my big moments, top blog posts, my top referrer, #1 SEO term, YouTube videos, Members of the Week, and more in order to show insights that will hopefully help fellow bloggers see what was popular. I also hope it entertains the readers who want “extras” for this website. Thank you for being a part of my life this June! We are less than a month away from the release of Minutes Before Sunset, and excitement has filled every Dark night. (Dark as in the Dark from The Timely Death Trilogy. Not dark as in depressing.) It’s been electric! Clean Teen Publishing even gave away three paperbacks on Goodreads, and since almost 2,000 people signed up, Clean Teen Publishing decided to giveaway a paperback EVERY week up until the release. Join the current giveaway right now by clicking this link, because you definitely deserve to win. You made this happen, after all. 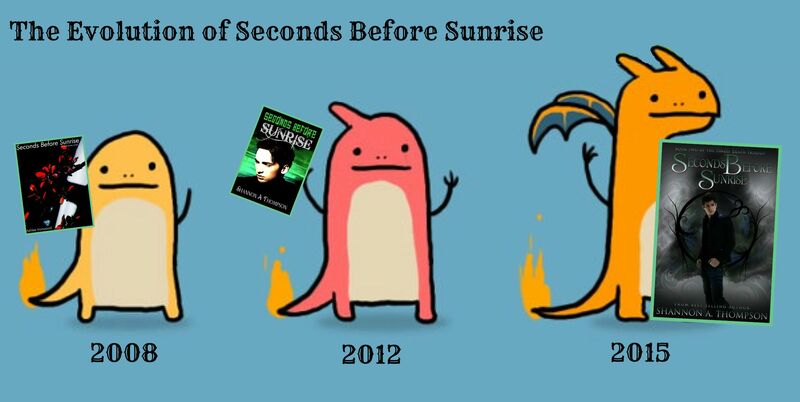 On another note, Seconds Before Sunrise is officially up for pre-order as well! (Eek!) 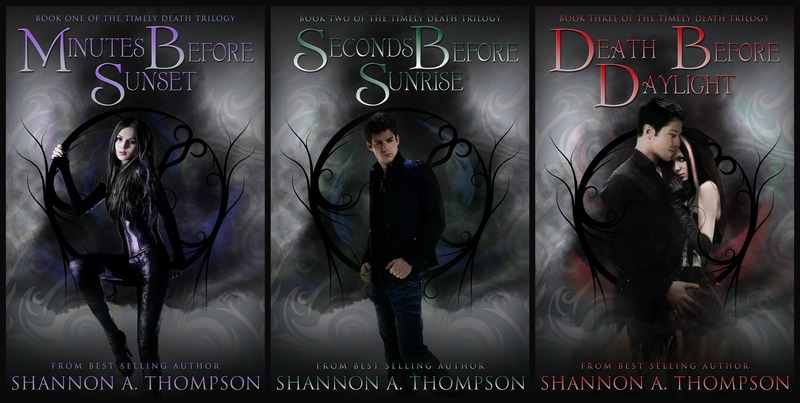 Seconds Before Sunrise releases August 25, so these releases are going to happen fast! #TheDarkisComing and the Dark brings prizes and smiles. My #1 clicked item was pre-ordering Minutes Before Sunset! Thank you!!! Judging an Author’s Life: Someone judged my life as an author from the photos I posted, and I wrote a letter in response. Authors are human too. We are not perfect, and we do not sit around all day writing and reading to our heart’s content. But I do share my positive moments more than my negative ones, and I share why in this emotionally driven post. 6 Must-Have Tools/Apps For All Writers and Editors Out There by Ashley Sanford: A great list for all writers out there, provided by a fantastic guest blogger (who has confirmed is planning on returning with another article shortly)! Get excited. Finding Your Style as a Writer: There is no reason to fear your “voice” and “style” discussions. It’s different for everyone, and it always will be. What matters is doing what is right for you and being aware of yourself as you grow into yourself. Writing Tips: The Good, the Bad, the Ugly by Inge Saunders: We’ve all heard so many tips. How do you decipher them? Do You Take Your Characters With You When You’re in the Outside World? 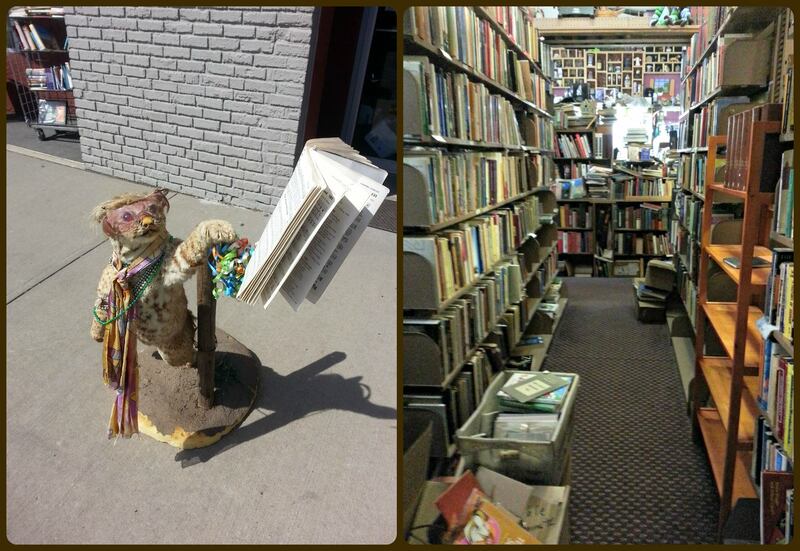 by Marcia Carrington: Our characters go with us everywhere. I Avoided Certain Books. Here’s Why: Even I have had reading slumps over the years. Author Goals: Have a variety of them and discuss them. Never Give Up on an Idea by Pau’s Castles: The wonderful Pau and her wonderful articles. The Timely Death Trilogy Prequel and Contest: I promise I’m trying to make this happen! The Joy of Progress Bars: Seeing how far you’ve come is just as important as going even farther. Reviewing Novels as an Author: It’s a lot more complicated than we admit. Dark Members of the Week: The Acid Oasis, Chris Pavesic, and Endless Reading. Bookstore Browser reviewed Minutes Before Sunset, stating, “The book sets up a great world, with interesting characters and storyline as a great start to the trilogy.” Check out the entire review by clicking here. Quotes. We love them. I rarely log onto any social media site without seeing some quote being shared via photos or tweets or simple statuses. We find a lot of meaning in quotes because we can relate to quotes, and being able to explain how we feel or think by sharing a line or two is a wonderful way to communicate with friends, family, and other followers. One of the most wonderful times of being an author is when a reader quotes you. The first time I saw this happen, I could hardly believe it. I probably rubbed my eyes, closed my computer, reopened my computer, and blinked before I accepted that somebody had shared a few words of mine with the world. Now – it happens pretty regularly, and every time, I am just as happy as the first time. Why am I mentioning this? Recently, a fellow author asked me how they could increase their chances of being quoted by their readers. Now – while I wish I could say there is a simple formula – I don’t know if there is, but I do know how you can find quotes in your own work that you can use for marketing purposes. So…here are a few ways to start your treasure hunt! I think this is the easiest way to find potential quotes in your own work. For instance, The Timely Death Trilogy revolves around the light vs. dark theme, but it’s also a romance, so I can search for words associated with that. Examples would include dark, shadows, love, hate, etc. This is handy because it serves two purposes: sharing a quote and sharing a theme from the novel. For instance, if I shared the favorited Seconds Before Sunrise quote, “Chaos within destiny. It was the definition of love.” it appeals to readers who might want to read about love, destiny, and drama. It’s also short enough to fit on Twitter. Readers will often point out their favorite quotes in book reviews. But – by the holy reading gods – do not respond to the book review. I think we all know how horribly that can go. While I generally let readers add quotes to Goodreads, this is a place where I’ve added a few quotes myself after a book reviewer shared one but didn’t add it. Book reviews can be a gold mine for finding quotes, but the only downside is the fact that you won’t have the quotes until after the book releases. If you need quotes beforehand, this method will have to be used later. I know. I know. I just said that. But – seriously – I found photos people took and edited just for the quotes inside my novels. I even found quote websites and new social media websites where I could connect with readers. In fact, this is one of the reasons I ended up on Pinterest. When I searched for my name, most of the photos I found with my quotes on them were on Pinterest. Now that you have quotes to use, use them! Create photos, tweet them out, post them on Facebook. There are plenty of ways to pick out those one-liners to share, but make sure you’re having fun with it! 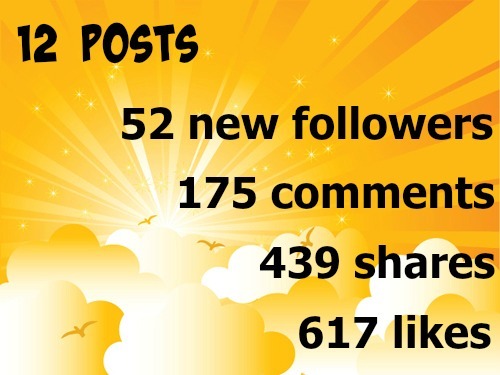 Create images, tweet out to readers, “like” photos fans create. Post them on your website! There are no limitations to sharing words, and who knows who will share yours next?